Welcome to sun, attractions, restaurants and lots of fun. Our Madrid Guide will give you all the information you need about this beautiful city in Spain! Madrid first became the capital of Spain in the 16th century, and has since the start of the 17th century permanently been the capital of Spain. Together with Barcelona the city is the cultural capital of Spain as well and the town has several interesting attractions to offer its visitors, and thousands of restaurants; some with good food and some with not to good food. In addition to the mentioned topics Madrid is a city of sports, and especially a city of football. Fans of Atletico Madrid and Real Madrid will for sure enjoy to visit their favourite team as they play! 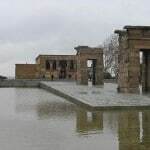 There are of course several other great activities and attractions to see while in Madrid, and probably the most visited attraction of all is not even located within the borders of Madrid. What is the attraction we are thinking of? El Escorial! Throughout history this has been the residence of a king and today monks still live inside the walls of this amazing attraction. If you come with children the zoo in Madrid will amaze both young- and old. For others a guided tour will feed their need for information and deeper knowledge of the history of both Madrid and Spain. If you need some help with an airport transfer to reach your hotel safely, we can of course help with that as well. So, look around, feel at home, be inspired and plan your days in Madrid well! We wish you a pleasant stay in Madrid!